Sport can and does have a powerful and positive influence on its participants, especially young people. Not only can it provide opportunities for enjoyment and achievement, it can also develop valuable qualities such as self-esteem, leadership and teamwork. These positive effects can only take place if sport is in the right hands – in the hands of those who place the safety and enjoyment of all participants first and adopt practices that support, protect and empower them.On this page we’ve outlined key safeguarding principles. Young people and their parents, as well as clubs and their volunteers, can find further advice in this section. • The welfare of young people (the Children Act 1989 defines a young person as under 18 years of age) and vulnerable adults is the primary concern. • All young people, whatever their age, culture, disability, gender, language, racial origin, religious belief and sexual identity, have the right to protection from abuse. • It is the responsibility of child protection experts to determine whether or not abuse has taken place but it is everyone’s responsibility to report any concerns. • All incidents or allegations of suspicious or poor practice should be taken seriously and responded to swiftly and appropriately. • Confidentiality should be upheld in line with the Data Protection Act 1988 and the Human Rights Act 1988 (implemented 2000). These principles apply to all participants, but young people and vulnerable adults in particular are entitled to a higher duty of care and to protection from poor practice or abuse. All policies and procedures discussed here refer to vulnerable adults as well as to young people. Abuse can occur within many situations, including the home, school and sporting environment. Some individuals will actively seek employment or voluntary work with children in order to harm them. Herts baseball Club is committed to devising and implementing policies so that everyone in the sport accepts their responsibility to safeguard children from harm and abuse. This means following procedures to protect children and reporting any concerns about their welfare to appropriate authorities. Everyone working in baseball and softball — whether paid or in a voluntary capacity — has a role to play in safeguarding the welfare of young people and preventing their abuse. Anyone who has regular contact with children can be a very important link in identifying cases where a child needs protection. Herts Baseball club advises that coaches of junior players be BSUK-qualified and that in any case they fully accept the Herts baseball clubs Code of Conduct. Herts Baseball Club is working with the Child Protection in Sport Unit (CPSU), using the safeguarding standards framework, to help create a safe sporting environment for children and young people in baseball and softball to protect them from harm. Through the use of the standards framework Herts Baseball Club seeks to provide a benchmark to help those involved in our sports to make informed decisions, to promote good practice and to challenge any practice or actions which are harmful to children and young people. If you have any concerns or questions on safeguarding at Herts Baseball Club, please contact our safeguarding officer Mark Caress 07540 577914 or by email. 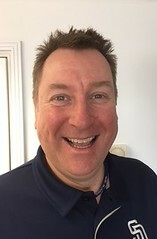 Mark is also the lead safeguarding officer for BSUK. 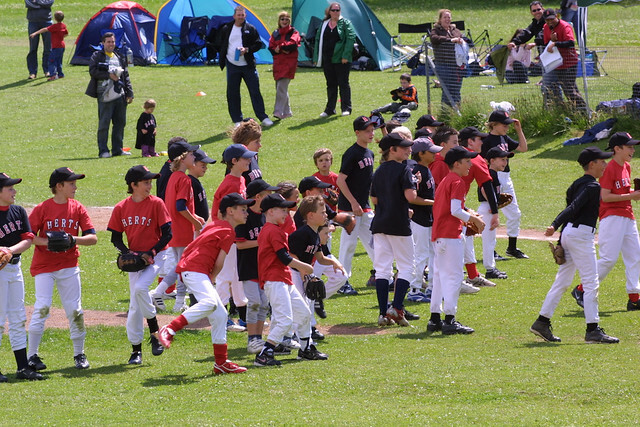 Herts Baseball club’s safeguarding policies follow that of BSUK and BBF. For more information or clarification please contact BSUK on 0207 453 7055 or email.